Refrigerated transport is one of our services. 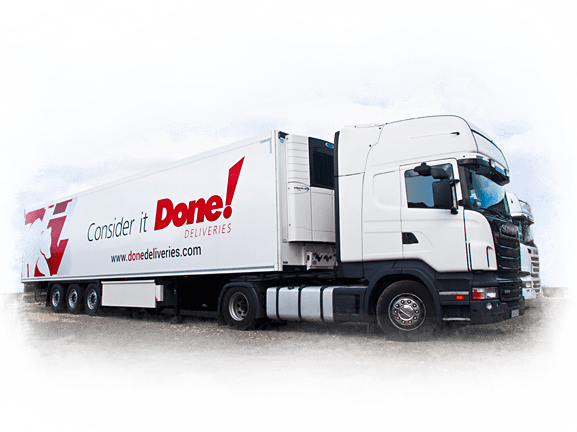 We offer the transport of goods requiring an appropriate temperature over the whole route. Refrigerated or frozen food, chemicals requiring a constant temperature, electronic equipment requiring additional protection. That and much more is ensured by our refrigerated trucks. France, Italy, Hungary, Germany, Austria, Spain, Portugal, Belgium, Holland, Croatia, Slovenia, Romania, Great Britain, Norway, Denmark, Sweden. We also import fruit and vegetables to Poland and offer refrigerator transport within the country. Safety and security over the whole transport period. over the whole transport period. Your food, frozen goods, fruit, vegetables and meat will reach the customers in an ideal condition. We offer vehicles adapted to the transport of chemical and hazardous substances. We have a fleet of tanker trucks for transporting liquid chemical products. We offer international road transport services throughout Europe and in the East. Uzbekistan, Kazakhstan, Tajikistan, Turkmenistan, Kyrgyzstan, Afghanistan, Azerbaijan, Armenia, Georgia, Lithuania, Latvia, Estonia, Moldavia, Russia, Belarus, Ukraine, Iraq, Iran, Turkey and Mongolia.